Mummies don’t get to fall sick, not really. 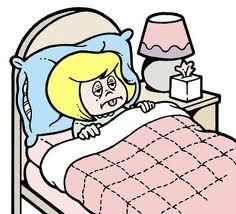 I am fortunate insofar that I really rarely fall sick. I may have one or two off days but I usually bounce back fairly quickly; life never even misses a beat, I am none worse for wear. I do my fair share to stay healthy: I eat fairly well, loads of vegetables, fruits and juice. My one big unhealthy indulgence is that I love Lemon Tea- I have been told that too much tea is not great for the system. I reckon, too much most things are bad for any system anyway. Plus, I always joke with W; that mummies are usually not allowed to fall sick. So we rarely do. It was probably culmination of a crazy work schedule meets travel demands, add a stint of not sleeping well, a dash of far too many activities and festivities and a sprinkle of an over active mind that never stops that finally did me in. Shortly after Christmas, as we entered the new year, not long after W and Q fell to some bug, my body finally gave out on me and left me- even after a two week course of anti-biotics, at the mercy of what will be the worst sinus infection of my life. I had 38-39 degree fever (chills, shivers and all) for almost a week over the new year, and could only medicate with the usual over the counter Flu and sinus stuff because most medical places were closed and I really needed a specialist cos clearly the GP level stuff weren’t working. During which time, we still had to cope with W being ill, Q’s fever not bating (took him almost five days to be rid of the bug, night sponge baths and all) and Evan generally being unhappy because Mummy could not carry him, Daddy was flat out and Kor Kor was banned from playing with the bub. Gratefully, our helpers stayed healthy, as did Evan. I was pretty much a wreck: days flowed into nights into days. And my fever persisted, my sinuses were clogged beyond relief and I was developing awful sinus related headaches. I barely ate, felt nauseous mostly (from backdrip) and lost weight that I didn’t have to lose. I finally got to see my Ear Nose and Throat doctor (the wonderful Dr. Leong Hoo Kwong at Mt. E, if you are interested); second patient, on the second day of the new year. And he took one look at me and figured out I was probably hit by some super sinus bug. W convinced me to get a sinus washout which he (under) described as a mere saline rinse. I almost had a heart attack when the nurse took out two ice-pick looking things and explained the doctor would have to break some bone before being able to do the rinse. I’m sure there’s some cool fangled medical term they use, but, as far as I was concerned, my husband signed me up to be half lobotomised. If I weren’t already LA-ed, set up and in pretty much sinus hell, I would not have signed the consent form. To cut the gross story short, they did the washout, sent stuff to get tested (its streptococcus pneumoniae) and I was sent home with a new course of antibiotics, more meds, orders to rest rest rest and a hilarious offer for medical leave. Looking back, I should have taken it and given it to Evan; maybe he’d stop being mad at mummy cos she’s suddenly always holed up in bed. It took another two days for the fever to bate sufficiently, another two after that for my nose to stop bleeding (finally) and as I write a week hence, I am much better, but hardly in the all clear zone. I am still blocked up though my osteopath and Rolfer have done wonders to help with the situation and in helping me ease those awful sinus headaches. I still find myself needing more rest than my schedule can afford. In between, Q missed his first week of school (he was sick, we were sick, and we didn’t want to be that family that sends the runny nosed, coughing kid to school; worse, with the nose bleeding, nasally congested accompanying mom). Upside to all this? I got tons of readings done, caught up on all the world news (mainly politics, which is a lot) and spent oodles of time with W, who was also, like me, banned from being around the kids much. We even manage to catch up on some TV shows. Small mercies. My lovely across the street neighbour- who feeds us ever so often, was quick to remind me that this was probably God’s way of making me rest, slow down and take time for myself. I do many things well, resting is not one of them. As a full time working from home mom, my days are choker-block full. In any given day, I barely have time to be mummy, wife, boss, much less, to simply be me. As is, that I no longer battle housework on the day to day basis, is already absolutely wonderful. And as I take stock of these very difficult past weeks, and knowing it might be several more before I am completely right as rain, I am grateful the kids are none worse for wear, if only a little cabin fevered. And that W is getting better. And that I have somehow toddled through the worst of work stuff whilst sick leaving the rest of the year fairly easy going (I hope). We have also figured out our work stuff, gave up on some huge projects since we have decided to prioritise our bandwidth better and planned several well spaced family holidays. Not the greatest way to start the year, but grateful anyway. This entry was posted in discovery, life, life learnings, parenting and tagged family, health, motherhood, parenting, priorities, school, sick, sinus, time, wellness, work by matchingsocks. Bookmark the permalink.